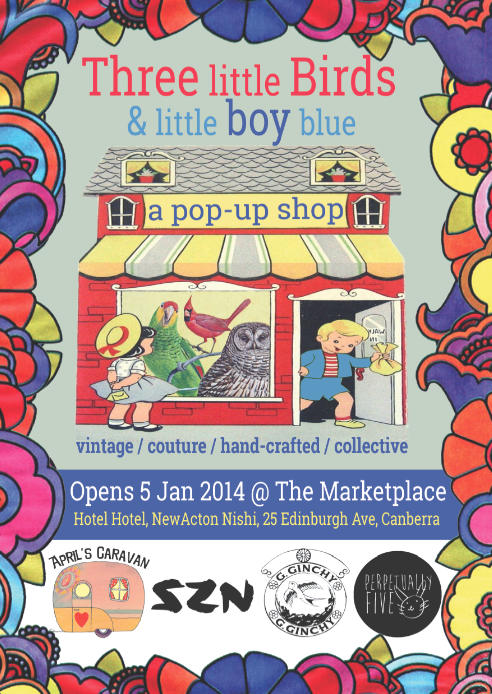 SZN together with 3 friends will be located in a pop-up shop in the beautiful new Hotel Hotel at New Acton in Canberra. The pop-up will be styled by the renowned vintage gypsy April's Caravan and will feature 3 local fashion designers: G. Ginchy, Perpetually Five and SZN selling our wares, and also sewing and designing from the space. April's Caravan vintage clothes will also be for sale, as will be records! Come visit from Monday 13 January.